Where the fields are wide and away from the city. They make food, friends and stories, none too tall. Just grab a slice of bread and make a sandwich with it! Sandwich County is a sandwich-making rpg about visiting an alternate universe and telling sweet stories. Jump through creeks with field mice, organise tea parties and sleep under an endless blue sky. Sandwich County comes in a 3-page black-and-white PDF word document for ease of use. 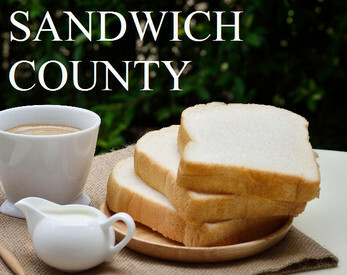 Visit the county anytime and anywhere! Sandwich County was made for Short Rest, the game jam about making cozy analogue games!